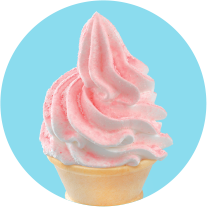 What could be better than the creamy, twirling swirls of our yummy SupaSoft? 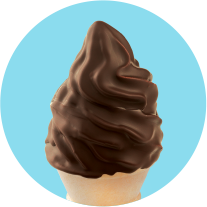 Whether you like yours dipped in sprinkles, sherbet or chocolate, a Wendy’s SupaSoft cone is guaranteed to make you smile. Delicious & creamy SupaSoft coated with Popping Candy. Delicious & creamy SupaSoft dipped in chocolate goodness. 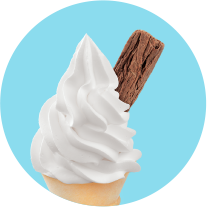 Delicious & creamy SupaSoft topped with Flake. A Wendy's Milk Bar classic. 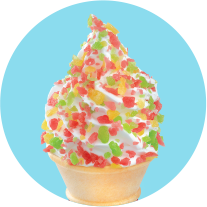 Delicious & creamy SupaSoft coated with zesty sherbet. 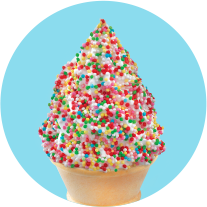 Delicious & creamy SupaSoft coated with 100's & 1000's colourful sprinkles. 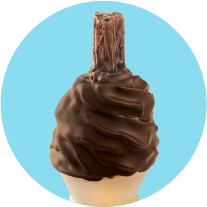 Delicious & creamy SupaSoft dipped in chocolate goodness topped with Flake.